Isis crystals have at least one 5-sided face. The number 5 symbolizes the Center, love, health and the harmonious union of energies within each human soul. It is in the balancing of the male and female sides of each person that healing can occur and the Isis crystal resonates with this energy from our higher self. The Isis Crystal is a powerful healing tool that transmits the knowledge of how to combine and integrate seemingly opposite forces into a new and unified wholeness. When opposing aspects that appear contradictory join together in complimentary unison, the world will reflect back to us that unified reality. Within the Isis is contained the secrets to mastery enabling each individual to overcome the depths of human emotional suffering by transmitting the essence of understanding and comfort into all of life's lessons. Isis crystals strongly amplify the feminine energy and can help you get in touch with the 'female' or unselfish side of yourself, no matter whether you are a man or a woman. These crystals are useful in balancing your male-female energy if the female energy has been suppressed, or if you need a greater balance of female energy for any reason. Isis crystals put you in touch with the power of the Goddess. For men, the Isis crystal will help you become more in tune with your feminine side and to become more aware of the aspects of women that you may find troubling. For women, the Isis crystal will help you regain some of the power and energy that society has taken from you. Teaches that feminine is not weak. Anyone doing healing work with another person needs the Isis energy to be effective. The Isis crystal should be carried or held when dealing with issues that are emotional and difficult. 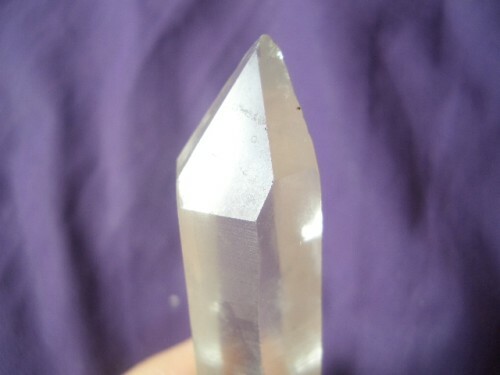 For those who have suffered deep emotional loss or who may feel that life is unjust, the Isis crystal offers the power of self-healing, inner strength, and perseverance. It tells us that focused desire and belief in our own power can create miracles.